Researchers have come up with an all new way to revolutionize the standard computer chip that comes inbuilt in all our electronics. Researchers from Carnegie Mellon, Stanford, and the University of California, Berkeley among others, have invented a new material that could replace the 'silicon' in conventional chips – built in all electronic devices – making the device's processing speed 1,000 times faster. This means that the new chip made with nano-material could solve complex problems in a fraction of the time our computers take. The brand new chip, dubbed Nano-Engineered Computing Systems Technology (N3XT), takes the landscape from a resource-heavy single-storey layout to an efficient 'Skyscraper' approach, claims a Rebooting Computing special issue of the IEEE Computer journal. The silicon chips are arranged like standalone houses in the suburbs. This means these chips are single-storeys in which each "house" in the neighbourhood are connected with wires that carry digital data. The drawback of silicon chips is that the data in these chips travels longer distances and wastes energy, often causing digital traffic jams while processing. N3XT chips that are made from carbon nanotube transistors are tiny cylindrical molecules of carbon that efficiently conduct heat and electricity. 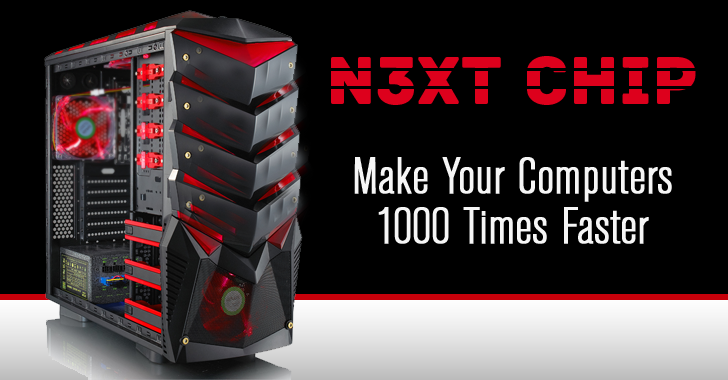 The N3XT model splits processors and memory into, say, different 'floors' in a skyscraper. All those floors are then connected by millions of tiny electronic elevators, called 'vias,' that are used to transport data between chips. The big advantage of Skyscraper approach – data moves much faster, and more efficiently over shorter distances (vertically) than across a larger area (horizontally) like in current silicon chips. "When you combine higher speed with lower energy use, N3XT systems outperform conventional approaches by a factor of a thousand," said H. -S. Philip Wong, the Professor, who authored the paper. Silicon chip cannot be piled on top of each other like in N3XT chip, because, during fabrication silicon chip gets extremely hot (almost 1,000 degrees centigrade) that ends up damaging the layers below. 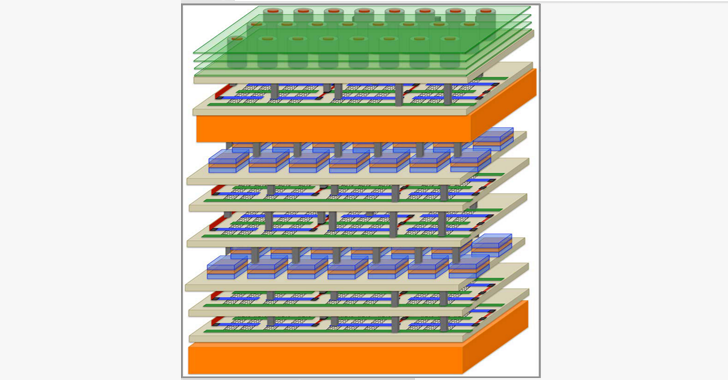 Whereas the N3XT chip can be fabricated at much lower temperatures than silicon chip, so it can easily be layered without damaging the stacks below. It sounds like an entirely different approach to computer memory and, of course, this kind of computing knowledge is new to me. But, it's interesting to know that the approach could bring a macro-level revolution in chip architecture that took place more than a century ago. You can just check out the original report at Stanford News for more details and let me know what's your take on it.